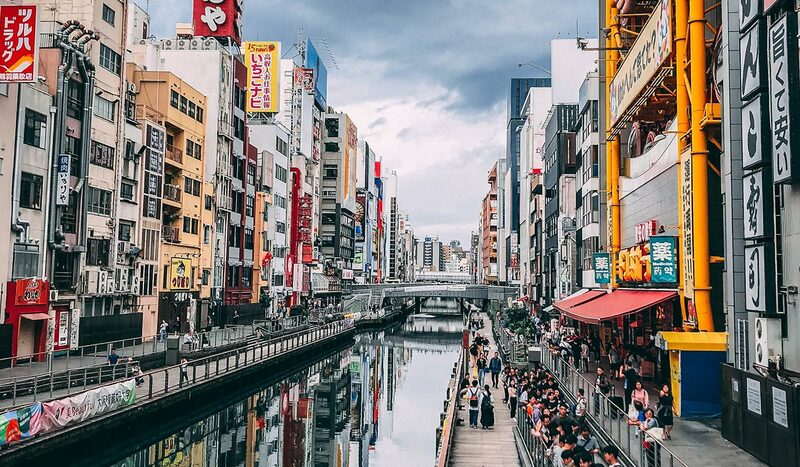 One of the most characteristic cities in Japan, Osaka has always been known for being a little different than most other cities. From Osaka-ben (Osaka dialect) to the many kinds of japanese street food such as takoyaki (ball-shaped snack with octopus inside) that have become beloved and famous all over Japan, to the warm and friendly nature of its people. 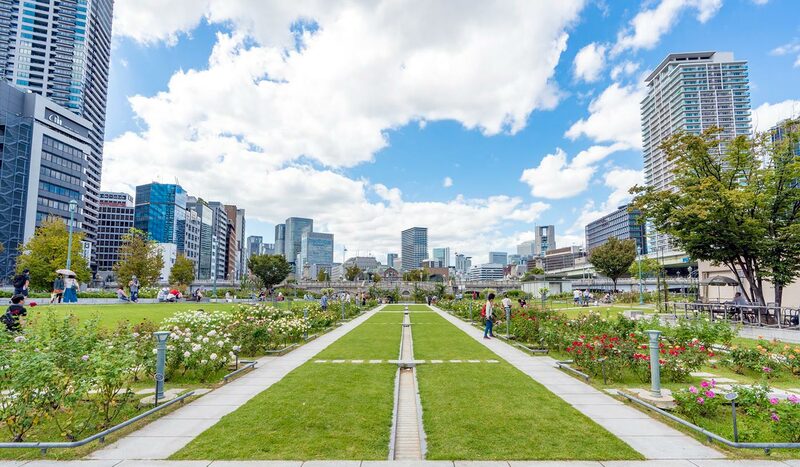 Being one of the most important cities in the Kansai area as well as a port city and influential commercial center, there are many things to do in Osaka even on a shoestring. 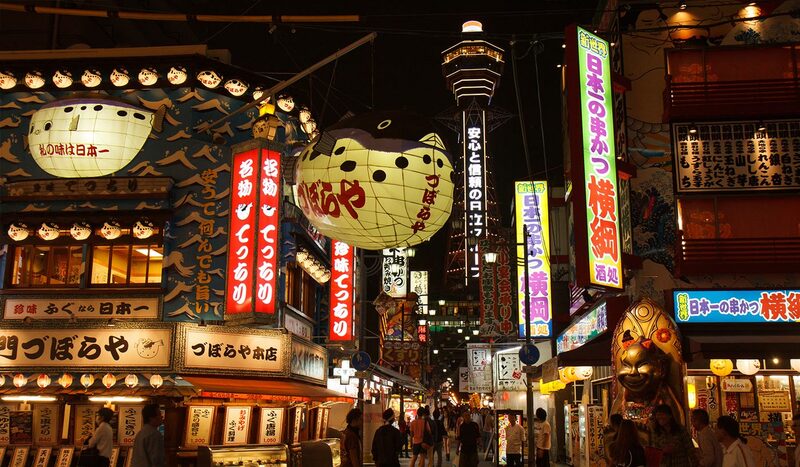 Let us take you on a budget itinerary and sample the best Osaka has to offer! 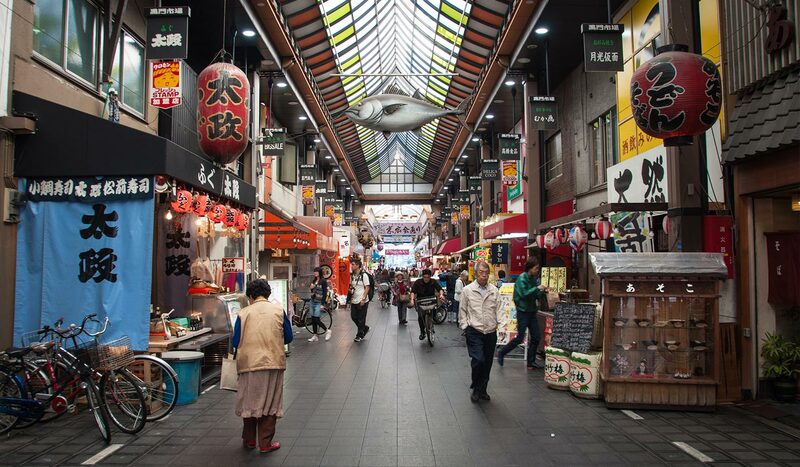 One of the places that’s often listed at the top of any itinerary when visiting Osaka, is a visit to Kuromon Market. With a history dating back 170 years, this lively market is one of the most well-known markets throughout Japan. Osaka being a port city, you can expect to find lots of fresh and colorful seafood of all sorts and shapes. Don’t miss out on a chance to sample some of the freshest sashimi and sushi you’ll ever taste. The market is a perfect place to try typical Osakan flavors such as the ubiquitous takoyaki octopus balls. One of the fun things about the Kuromon Market or otherwise known as “Osaka’s Kitchen”, is to go from stall to stall and try the familiar but even more, the unfamiliar. If you’re a foodie just like us, some of the must-try foods are grilled scallop, red baby octopus, fatty tuna sushi and fresh sea urchin. If you’re not a fan of seafood, you can find finger-lickin’ good fried chicken that you would definitely want to sink your teeth in. And for those that do want to splurge a little, we absolutely recommend trying the wagyu beef (we promise, you won’t regret it!). From Kuromon Market, take the Nankai-Koya line (green line) bound for Izumi-Chuo and get off at Mikunigaoka Station. From there you can either walk towards the entrance of the tomb (might take a while) or transfer to the Hanwa line (orange line) bound for Kumatori and get off at Mozu Station which is much closer to the entrance. The tomb of Emperor Nintoku (Daisen Kojun in Japanese) is the largest tomb in Japan and the 3rd largest in the world. 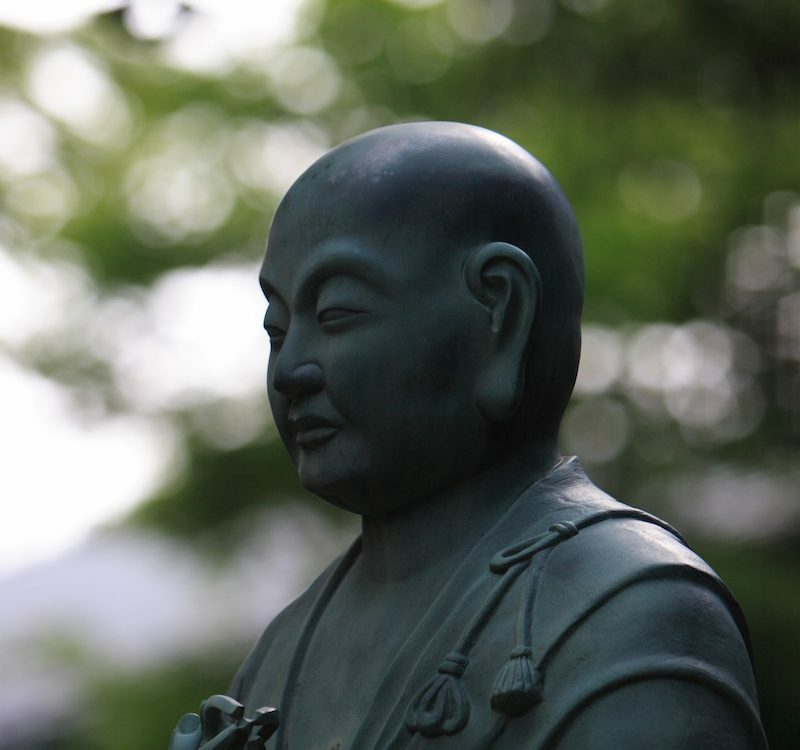 The mausoleum was built for the legendary emperor Nintoku-Tenno who ruled Japan during the 5th century. The tomb which has a measurement of 500 meters at its longest point, is characterized by its keyhole shape island surrounded by a wide moat. The tumulus (ancient burial mount) is so big, when you get close to it, it seems like a small mountain. 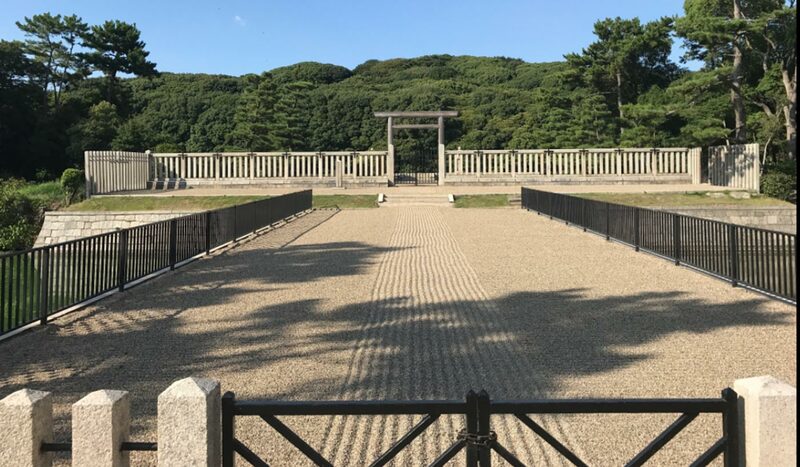 It is said that an estimated 2,000 men worked day and night for 16 years to built construct the tomb and is one of the most impressive sites in Japan. 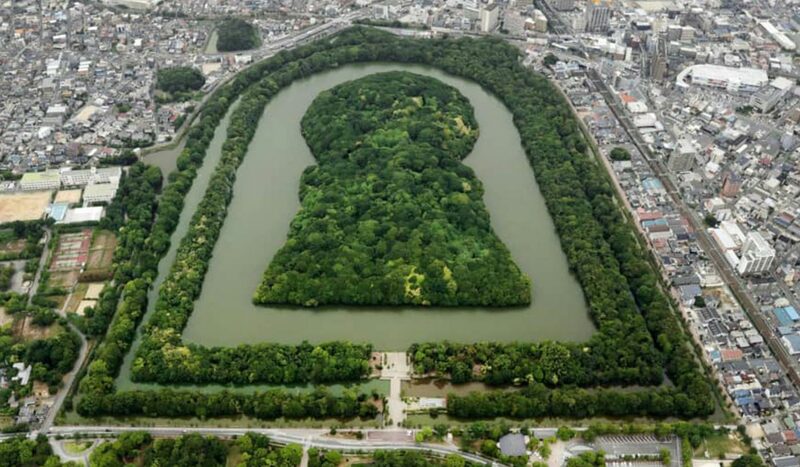 If you want to get to know more about the keyholes-shaped sites in Kyoto, check out this article. 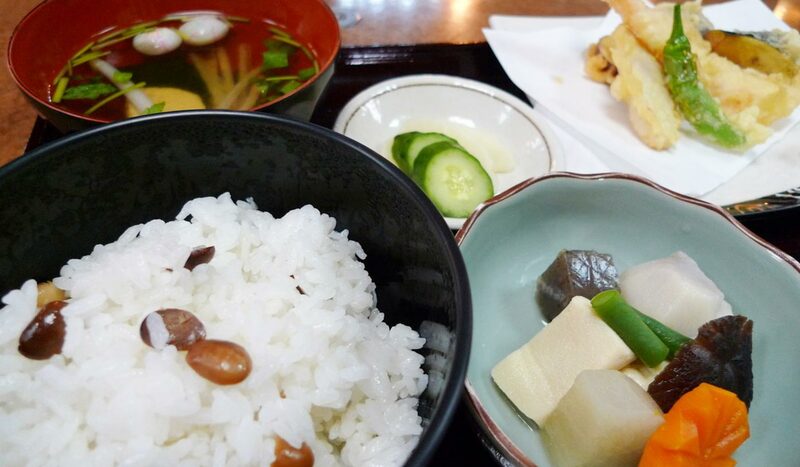 Before visiting the Sumiyoshi Taisha shrine, head over Hirotaya for a traditional Japanese lunch. Take the Nankai-Koya line bound for Namba and get off at Sumiyoshi-Higashi Station. There aren’t many restaurants around Sumiyoshi Taisha, but one that stands out is Hirotaya. A small charming restaurant that that has been in business over a hundred years since it first opened in 1915. The restaurant is famous for its mame-gohan, rice cooked with roasted soybeans. If you’re looking for a traditional Japanese meal, we recommend trying out this restaurant and ordering either the mame, tempura or sashimi set meals. 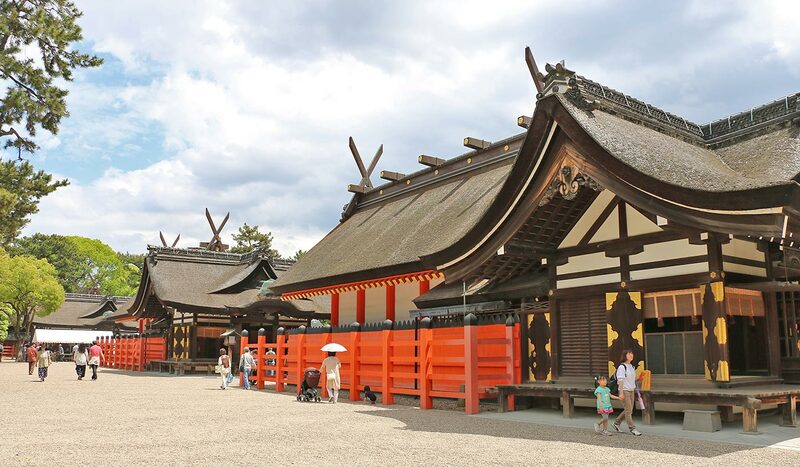 Sumiyoshi Taisha is one oldest Shinto shrines in Japan and the head of approximately 2,300 Sumiyoshi shrines throughout Japan, worshipping the great gods of Sumiyoshi. Founded in the year 211, the shrine is built using the oldest style used in shrine construction known as Sumiyoshi-zukuri. Because the main sanctuary structures were built even before the introduction of Buddhism and influences from the Asian mainland, the architectural style is uniquely Japanese and characterized by the straight lines used on the roof and the forked element at the tip. The whole complex has many buildings in addition to the main shrine and leading up to the shrines is the beautiful Sorihashi Bridge arched over a pond. Because of the importance of the shrine, there are many festivals and rituals performed with one of the biggest ones falling on New Year’s Day when over 2 million visitors travel to the shrine for Hatsumode, the first Shinto shrine visit of the Japanese New Year. Travel north to Shinsaibashi Station (or alternatively to Yotsubashi Station) to get to Amerikamura, a themed retail and entertainment area. Amerikamura (aka Amemura) got its name from the many import shops selling goods from America since the 1970’s. It has become fashion center for youth today and you’ll find many trendy shops, street fashion, hip cafes, nightclubs and a unique atmosphere that is akin to Tokyo’s Harajuku. If you want to get a sense what fashion the youth is into, Amemura is the perfect place to be. The area has also become a culinary hotspot where east meets west, and you can find everything from Japanese to Mediterranean, hamburgers to succulent king crab legs. 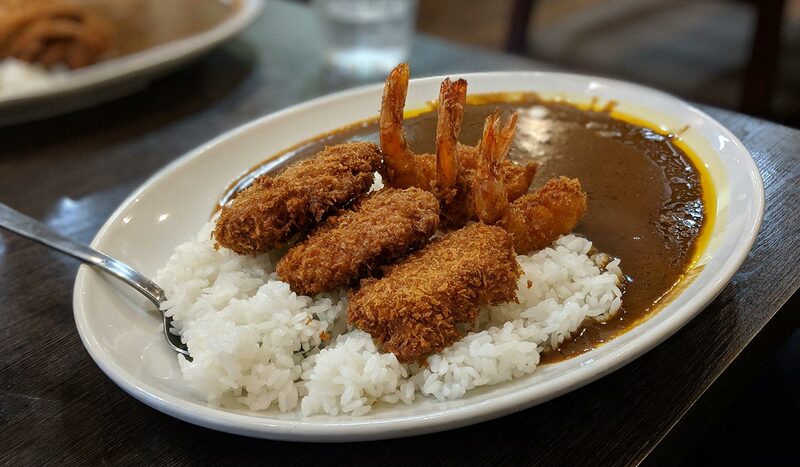 One place to check out is Madras 5, a Japanese curry restaurant serving chicken, beef and its signature tomato curry. You can add extra toppings to your curry and also choose your spicy level. The portions are generous and very affordable. After your meal, cool down with the longest ice cream in Japan at Long Soft Cream, measuring over 40 cm! 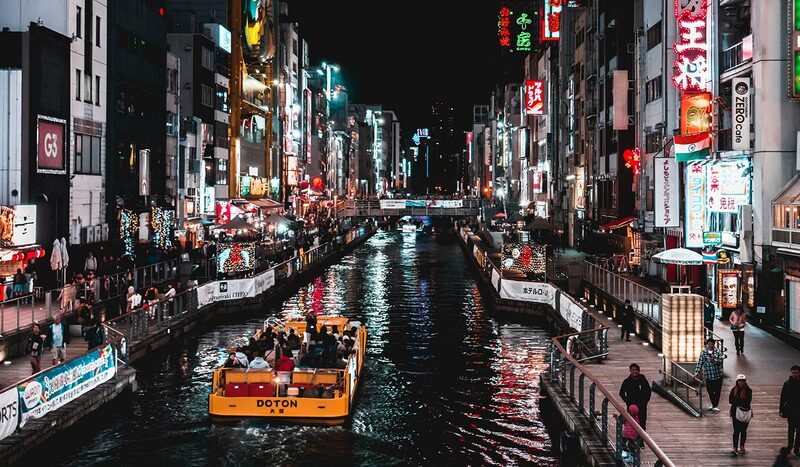 Of all the things to do in Osaka, a visit to Dotonbori, the most famous hangout along the Dotonbori canal, is a must. This vibrant area is colorful, lively, crowded and full of neon-lit billboards and shop signs (sensory overload warning). At nighttime is when the area truly comes alive as lanterns light up the street, billboards flicker and giant restaurant signs move. Here you can find an endless range of restaurants, interesting shops, bars and clubs. Along the canal, walk to the Ebisu Bridge to find the iconic Glico Running Man sign or spot the giant moving crab signage above the popular Kani Douraku restaurant. The area is also full of street stalls selling typical Osaka street food which you have to try. 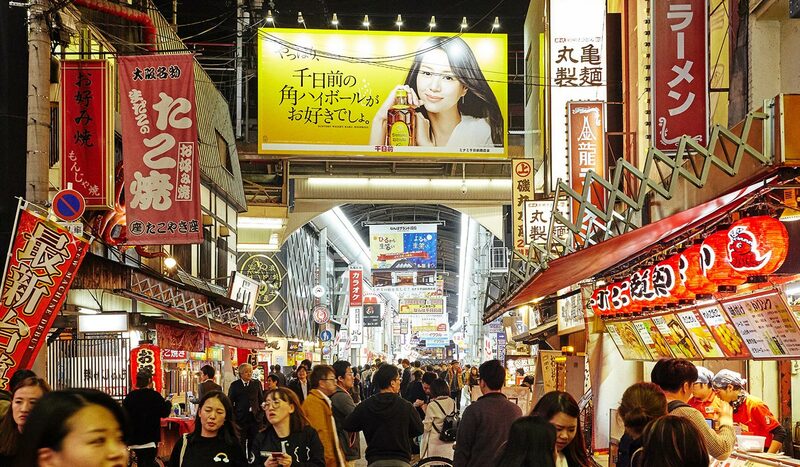 A short distance from Dotonbori, you will find Shinsekai, an area that flourished as a restaurant and amusement district at the beginning of the 20th century but has since dwindled. Today, much of the old establishments can still be found with many locals frequenting this neighborhood. You can find many small restaurants and izakaya (Japanese style pub) selling cheap food and snacks. Walking around this neighborhood, you can get a good sense of the charm of the old days. 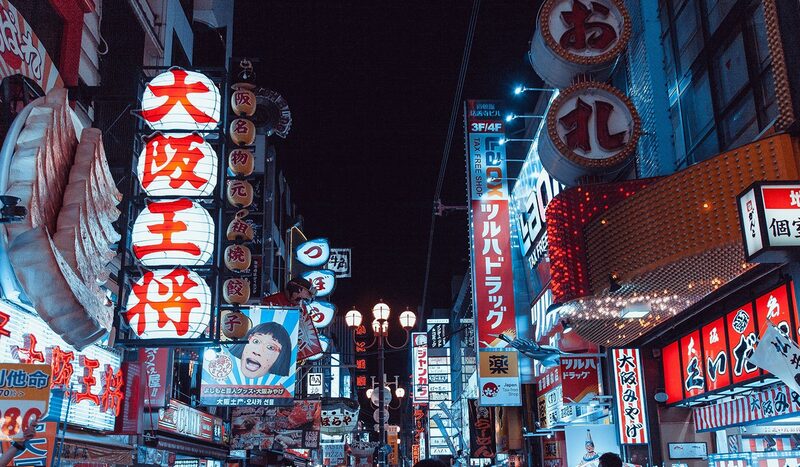 Osaka is one of the best cities in terms of nightlife in Japan. Namba is the place to be if you’re looking for a great night out with many clubs and bars clustered closely together in this part of town. This area is home to some of the best bars and clubs found in the country, catering to local and international crowds. Clubbing can be expensive if you count in multiple drinks and an entrance fee, a cheaper alternative would be to grab a cheap beer, eat some late night snacks from the many food stalls and to sing your heart out at the many budget karaoke bars or just simply walk around and enjoy the atmosphere of this famous area. 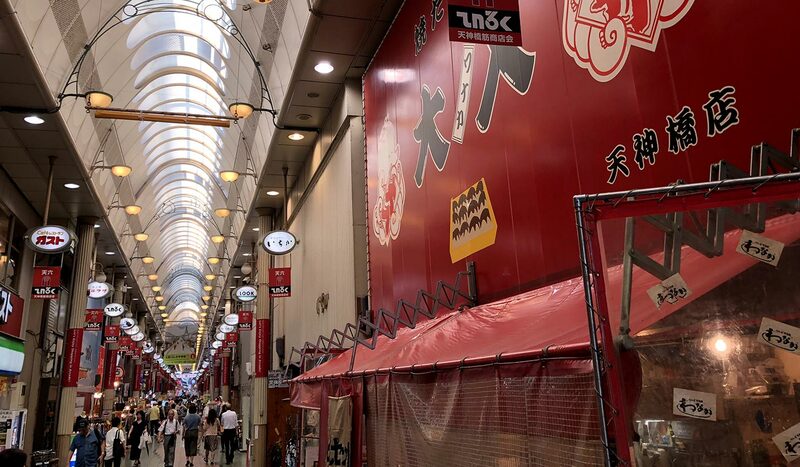 Start your day at Tenjinbashi Suji, the longest shopping arcade in Japan. Getting there is easy because of its length which stretches over 2.6 kilometers. 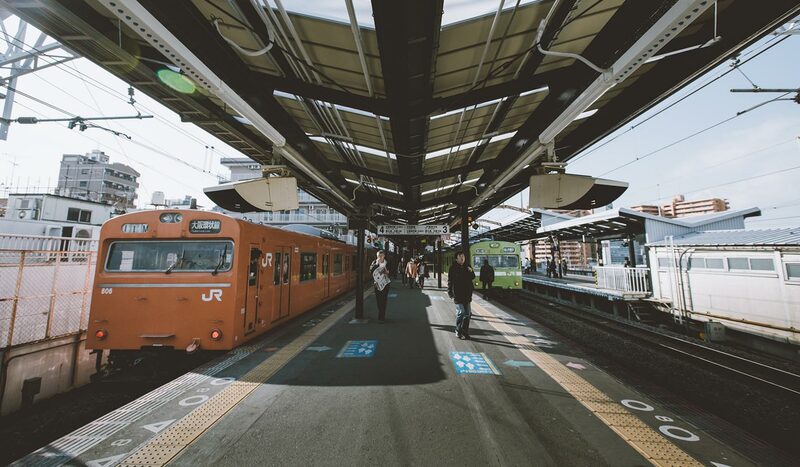 Get off at any of these stations: Tenjinbashi-Suji Rokuchome Station, Tenma Station, Ogimachi Station, Minamimorimachi Station and Osakatenmangu Station. Walking the entire length takes 40+ min. and the arcade counts as many as 600 shops. One of the many finds here in this shopping mecca, is cheap food. There are plenty of food stalls and little restaurants where you can just pop in, sit and eat or grab something on the go. Some of the best korokke (deep fried mashed potato patties with all sorts of fillings) are found right here. If you fancy some cheap sushi, head over to Sushi Masa’s for incredibly fresh sushi for an incredible low price. 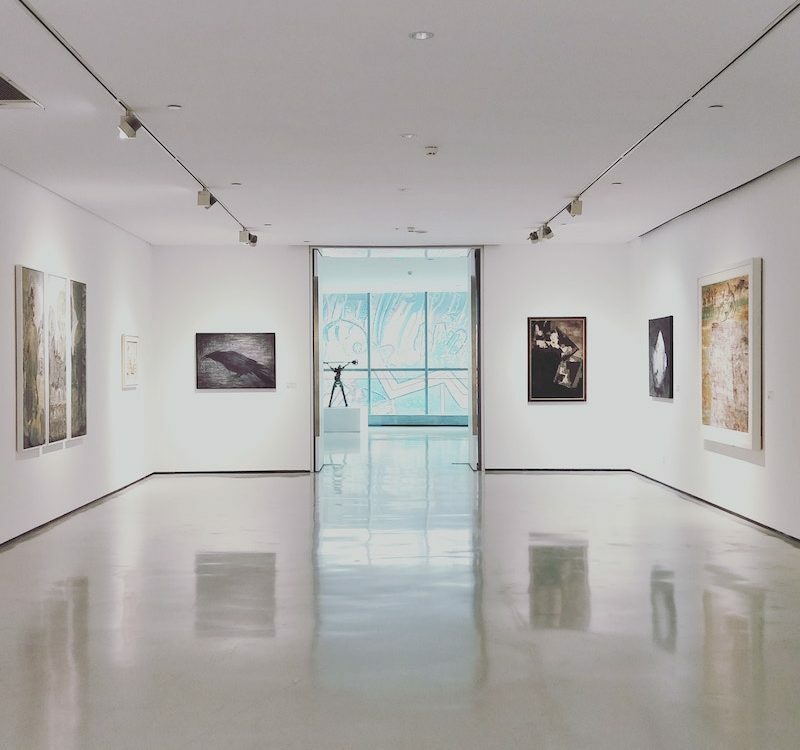 There’s so much to see and discover here, you could easily spend a day walking around. One of the places worth checking out is the Osaka Museum of Housing and Living at Tenjinbashi-Suji 6-chome. If you go to the 8th floor, you can visit an Osakan street as it looked like during the Edo period in the 1830’s. 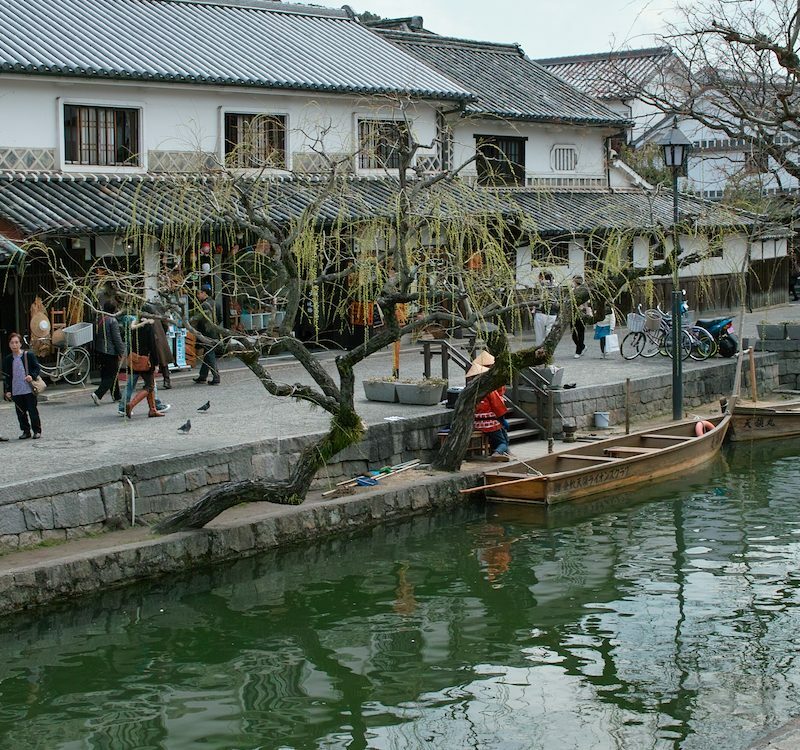 You can even rent a kimono and walk around, experiencing what life was during the Edo period. Built by Toyotomi Hideyoshi in 1583, Osaka Castle is one of the most recognized landmarks in Japan. 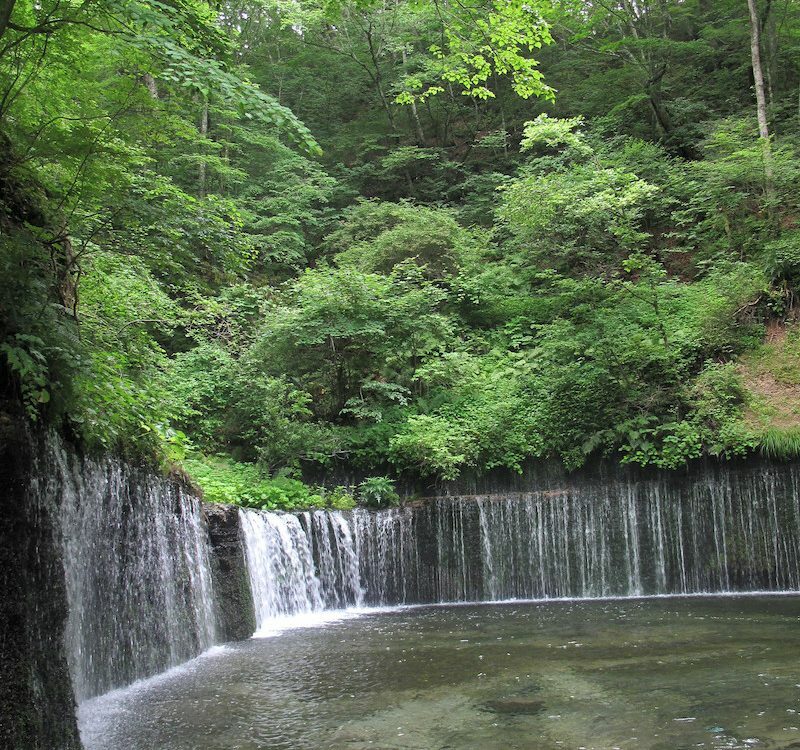 The castle was completed in 1597, one year before Hideyoshi’s death. The castle has been attacked and destroyed many times during its history, only to be rebuilt more splendid than before. The castle with its characteristic emerald green roofs, has five stories on the outside and high on the inside. The sides of the roofs are adorned with beautiful gold ornaments and the whole structure is surrounded by two moats. The castle houses a historical museum and can be entered for a fee. 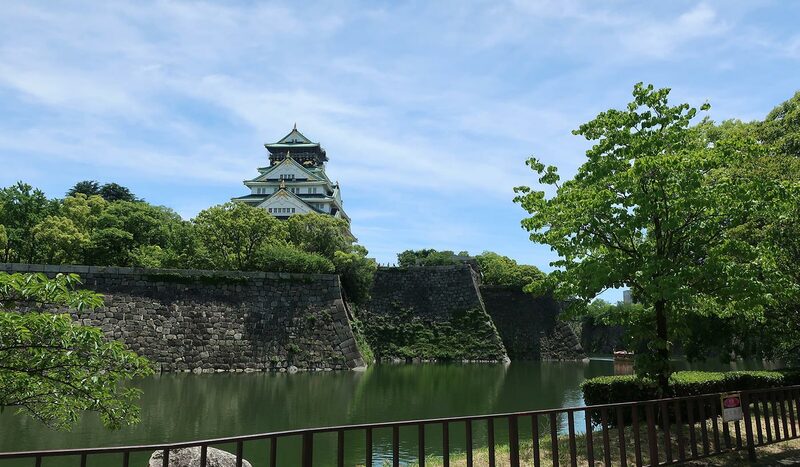 The castle grounds and surrounding parks are free to visit and during hanami season when the 600 sakura trees are in full bloom, many people flock to the park to picnic and enjoy the beautiful view of the flowers and Osaka Castle. One of the things to do in Osaka is trying kaitenzushi, sushi on a conveyor belt. 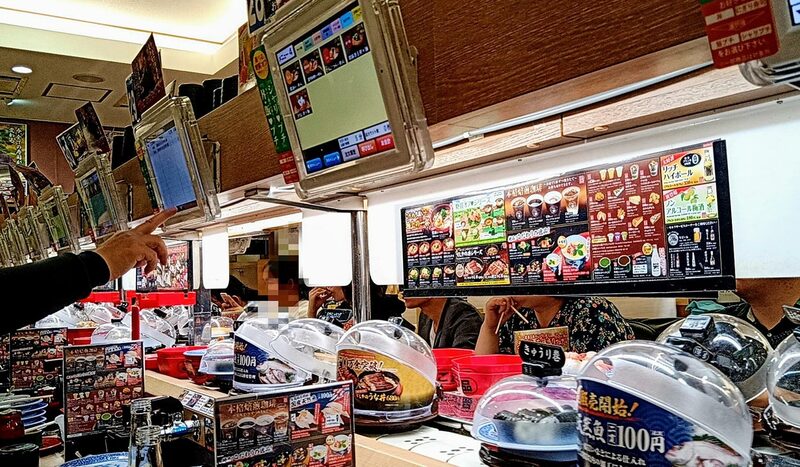 Kura Sushi is a conveyor belt sushi restaurant chain with more than 300 stores in Japan that serve delicious sushi for a cheap price. Prices start at 100 yen per plate for two pieces of sushi and there are a lot to choose from. The restaurant also serves other dishes such as ramen, fries, ice cream and sweets. Ordering can be done at any time using the touch panels in front of you. And the best thing is, while you eat, you can play a game called “Bikkura Pon”. After you finish each small plate, you can get rid of them by inserting them in a special slot at the side of the table. Each time you insert 5 plates, a slot game will appear on the touch panel screen and if you win, you will get a small prize! If you’re into gadgets and all things tech, you might want to check out the Panasonic Center close to Osaka Station. At the Panasonic Center, you can see and experience the latest advanced technology and products. There are also interactive displays and fully furnished homes showcasing state-of-the-art technology. You can visit the various exhibit areas split over three floors and try out various Panasonic’s latest products. 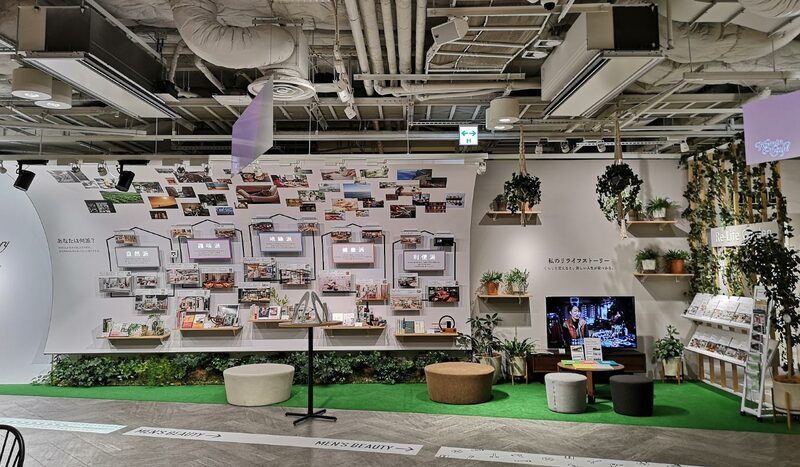 Not only can you experience new technology, you can also learn about how products work and how the company’s green products are eco-friendly and contribute to the environment. 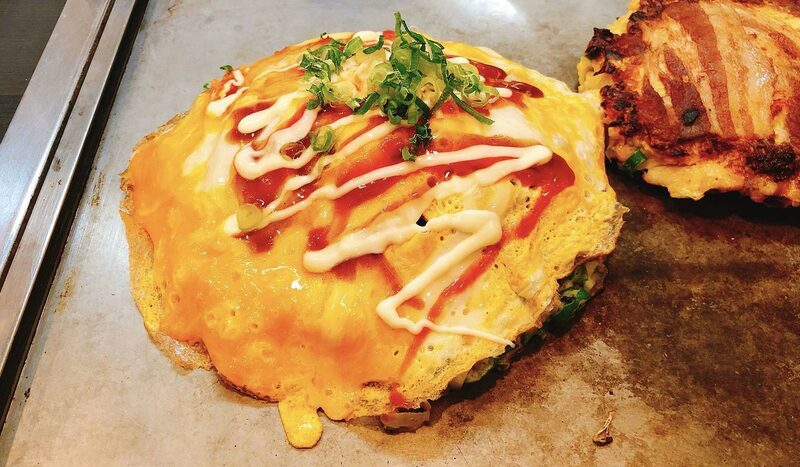 Okonomiyaki, a savory pancake, is believed to have originated in Osaka. Okonomiyaki literally means “cooked (or grilled) how you like it”, and the batter and toppings can differ from region to region, but the most wwell-knownkind is Osaka-style okonomiyaki. The base batter is made out of flour, dashi, egg, grated yam and shredded cabbage and depending on the region, different ingredients are added such as seafood, meat and even noodles. Coming to the birthplace of okonomiyaki, Osaka, you have to try one of the many okonomiyaki restaurants found in the city. One of our recommendations is Negibijintei in Umeda. Here you get to cook your own okonomiyaki on the individual grill plates in front on the seats. Apart from okonomiyaki, you can also find yakisoba and takoyaki as well as set menus all for a great price. Like any big city in Japan, getting around Osaka is convenient and fast. One of the most convenient ways is using the train and subway transportation system. The JR Loop Line circles all the main areas and connects all the main stations. The bus network is extensive and taxi’s can be found almost anywhere. Osaka being the water city, one unique way of getting around the city is using one of the many waterways. Try getting around using the water buses or cruises and experience Osaka in a different way. 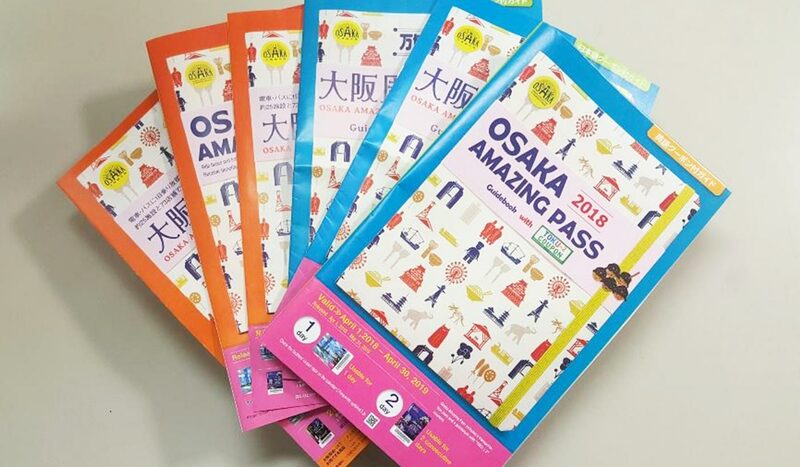 Because there are so many things to do in Osaka and you might end up traveling back and forth between several stations on a single day, get the most out of your experience budget-wise by purchasing a 1-day or 2-day pass. This ticket allows you to use the subway, city buses, New Tram, Hankyu, Hanshin, Keihan, Kintetsu and Nankai trains unlimited times for one day. 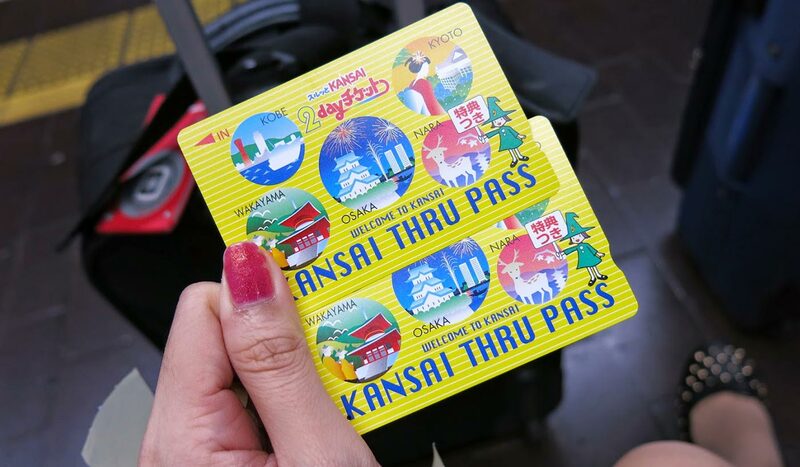 This is the most flexible and all-inclusive ticket allowing pass-holders to ride on subways, trains, busses in Osaka and throughout the Kansai area including in and around the cities of Kyoto and Kobe. This central located hotel is one of the best deals you can find in the city. The rooms are modest and clean and come equipped with a bathtub, flatscreen TV, hairdryer and refrigerator as well as air-conditioning. Wifi is available is all rooms including the public areas. A simple hotel for a really affordable price. Price: starting from 6,750 yen p.p. 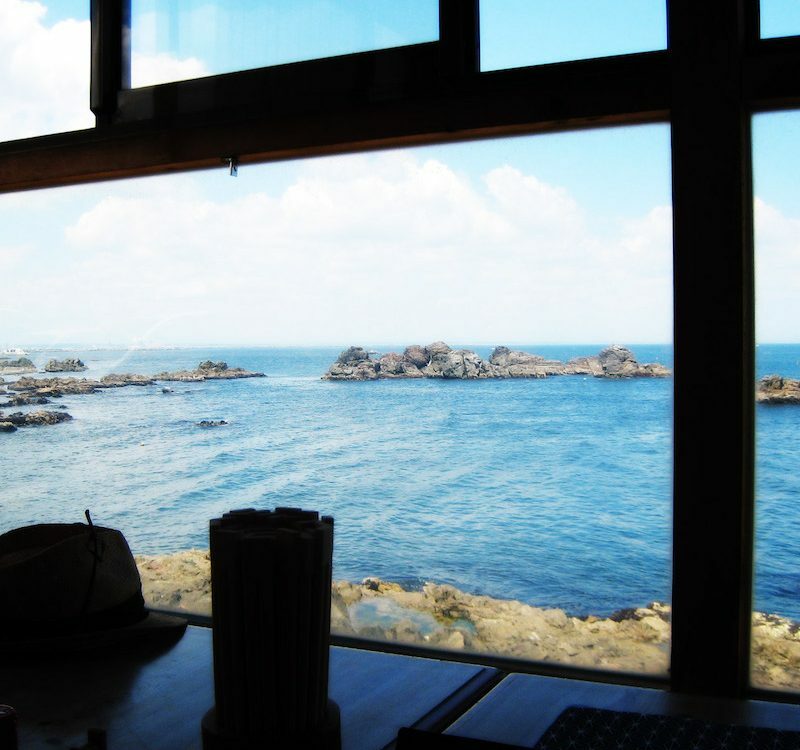 If you’re looking for a real budget accommodation, we recommend Hostel Rakutsuki. 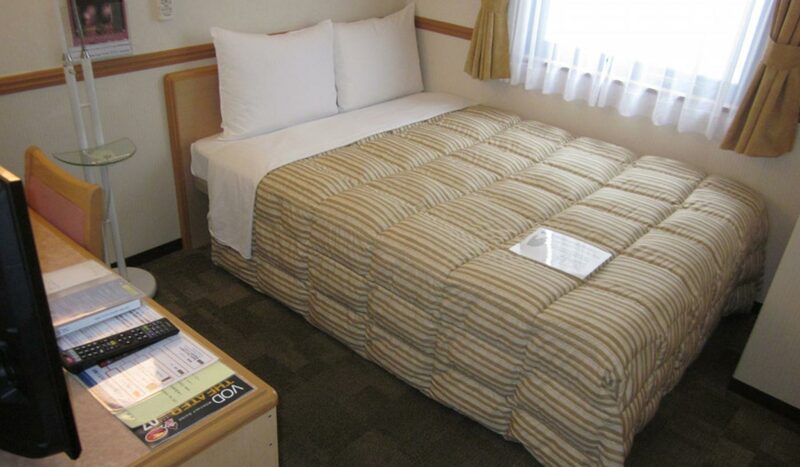 Conveniently located in the Namba district, the hostel is only 3 minutes away from Nipponbashi Station and 7 minutes from Namba Station. 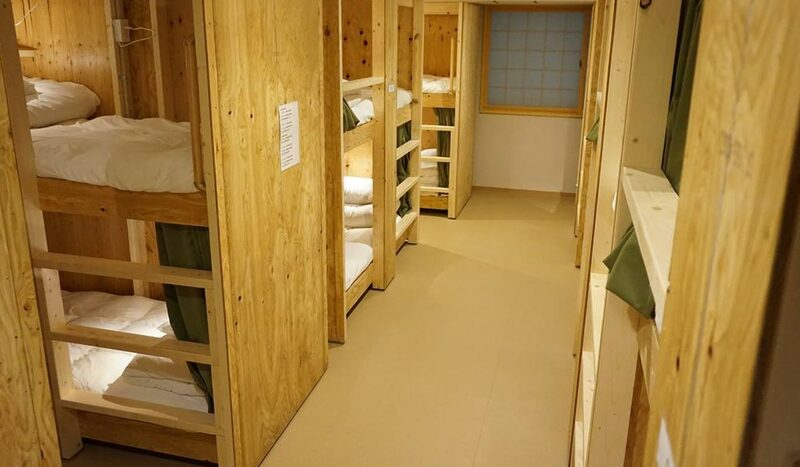 All the rooms are dormitory style with comfortable wooden bunk beds, side lighting and privacy curtains. Facilities like a TV, refrigerator, coffee machine and microwave can be found in the common areas and shared shower rooms come with free toiletries. Free wifi is available. Be sure to book in advance because this is one of the cheapest hostels you can find and is often fully booked. Do you want to know what are the differences between Osaka and Tokyo? Check out this article. Have you been to Osaka? 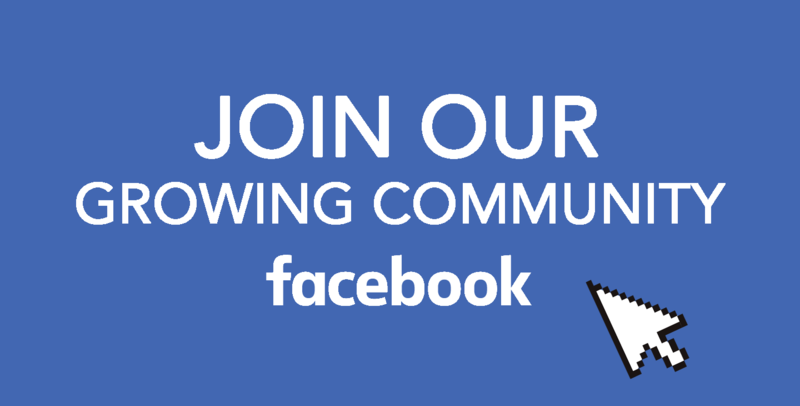 Share your experience with us on Facebook group. 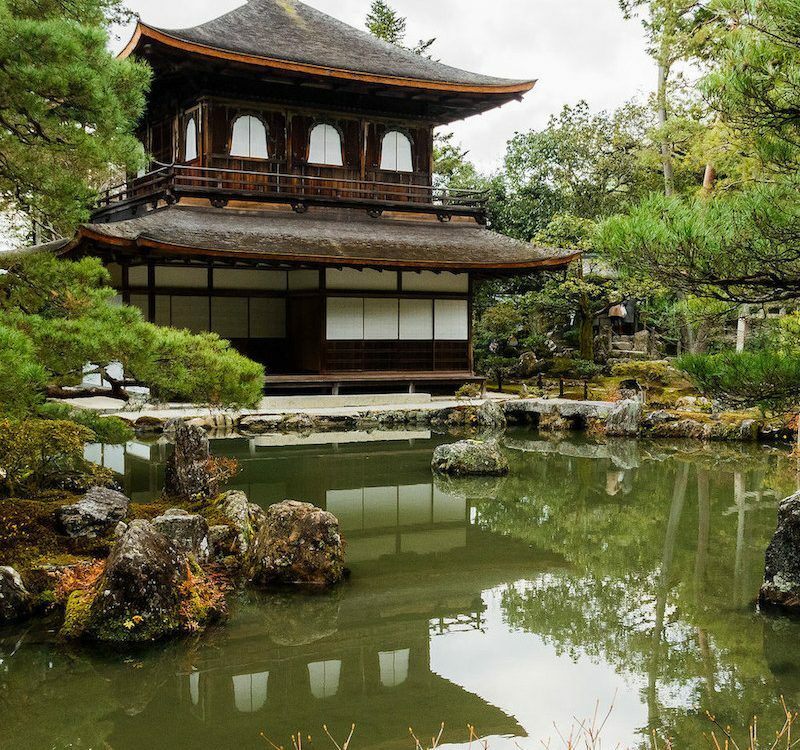 Also, don’t miss out the chance to discover more about Japan, follow us on Facebook, Instagram, Twitter, and Pinterest. Have a great time in Osaka!